The Fuji Shibazakura Festival (富士芝桜まつり) or moss phlox festival at Lake Motosuko is one of the most popular event in Japan. 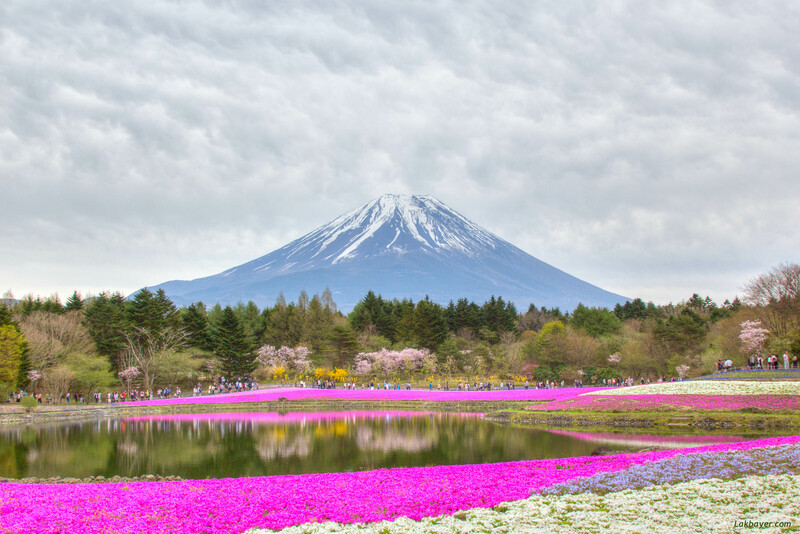 About 800,000 five-petaled moss phlox of about seven varieties bloom in about 2.4 hectares field, creating a beautiful bright floral carpet under the foot of Mt.Fuji. 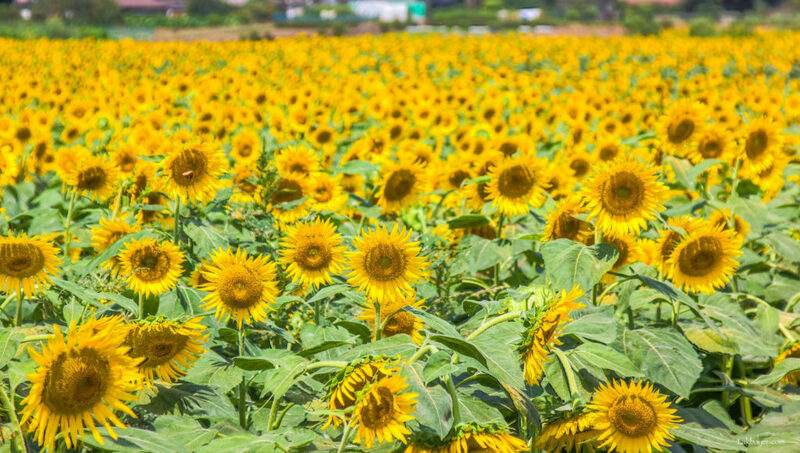 These shibazakuras grow in white, fluorescent pink, red, rose pink, deep mauve, and white. The moss phlox which is native to North America is called shiba-zakura (or lawn cherry in Eglish) because its flowers resembles to cherry blossoms, where both have five petals, and it is a creeper plant that covers the ground like a lawn. 05/07/2017: Almost all of the shibazakura flowers are in full bloom and at their best viewing. Despite the cloudy weather, Mt Fuji presented itself the entire day, creating a breathtaking landscape which indeed leaves an unforgettable memory. 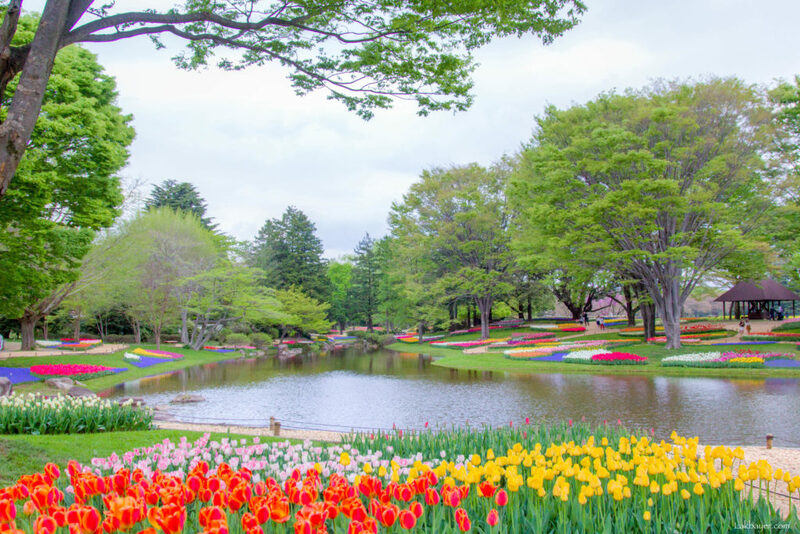 The cherry trees around the resort were also in full bloom, providing a complete experience of sakura and shibazakura. Sakura and shibazakura flowers reflected on the Ryujin pond.